Many of the top 8th Graders from the Spring will be invited to the 2017 FBU 9th Grade All American Bowl in Naples Florida!!!! Tailgating is NOT allowed by the facilities that we rent. There can be NO grills, either gas or charcoal in the parking lot. We will have concessions available and they will be fabulous. We have gotten a few responses from people with dietary issues that can't eat regular food and we have granted permission to a couple of people on individual cases. If you have not been granted specific permission by me, please do not attempt to bring coolers into the stadium. The only exceptions will be coolers used for teams. There will be a $5.00 per person entrance fee; however children 5 years of age and under will be admitted free of charge. Wristbands or stamps will be issued during games, which will allow everyone to regain entry back into the games, should you need to depart the game for any reason. Different colored wristbands will allow different levels of access. Field access is one color. Stadium access will be another color. You will not be allowed on the field or track without the appropriate color wristband. No outside food of any kind will be permitted inside of the GYFL games, unless otherwise instructed. Check website regularly. NO SUNFLOWER SEEDS are allowed on any field turf stadiums. All bags are subject to be searched by security prior to entry and security will be located at each gate. No smoking is allowed on High School Facility parking lots or common areas. High School grounds are not to be used as public restrooms!!! Patrons must use bathrooms or Porta Johns. Schedule is Subject to Change by GYFL. So you don't miss any of the exclusive, next level coverage. 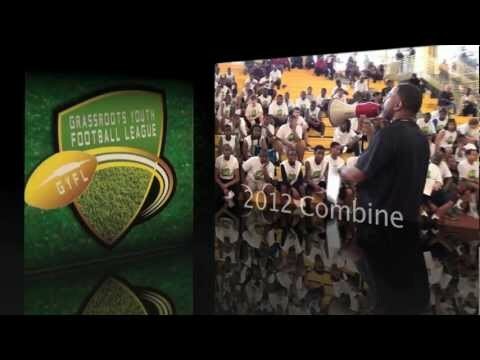 The ESPN of the GYFL. Note: It is Maryland Day at the University and one of the busiest days of the YEAR!!! The campus will be crowded and buzzing with people and full of life. Get there early as parking may be challenging!!! We want you all to have the full U of Maryland Experience and gets no more exciting than Maryland Day. Follow the parking and walking directions in the link above until you get to Parking Lot R3. You will see the Varsity Sports Team House as you walk into the Parking lot. To the left of the Varsity Sports Team House as you face it are the practice fields. You will see a tent with at the gate where you may enter. The far grass field next to the parking garage will be used for warm ups. Free Parking is available in Lot Z or Lot 1 next to the tennis courts next to Cole Field House. Walk towards the stadium and go to the right on Fieldhouse Drive with construction on Cole Field House to your right. Pass the Union Lane Garage and cross the street. Stamp Union (Where you can buy food) will be on your right. Make a left into the Driveway to the Gossett Team House. Veer to the right of the Gossett Parking Lot onto the sidewalk. Stay to the right until you reach Parking Lot R3. To your right you will see the Varsity Sports Team House on the right. The Practice fields are behind the Varsity Team House. We are NOT playing in the Stadium. Option #2: Paid Garage ($3.00 per hour). Closer Walk. Park at the Stadium Drive Garage BLDG 218 close to the Upper Deck side of the stadium. Walk down behind the Upper Deck side of the stadium towards the practice field towards parking lot R3. You will see the Varsity Team House as you walk into the Parking lot. To the left of the Varsity Sports Team House as you face it, you will see the white tents and the entrance gate to the practice facility. We are NOT playing in the Stadium. 3:00pm, right before the kickoff of the MD Heat vs Bowie Elite (Pallotti) game. Note: There are NO bleachers on the practice fields. You will need to bring lawn chairs, blankets to sit on grass, and be prepared to stand to watch the games. We expect it to be standing room only!!!! They are NOT allowing us to provide concessions inside the practice fields, so you can either bring your own food, or buy food on campus at the Stamp Union. CONGRATULATIONS TO THE MARYLAND HEAT, THE 2017 SPRING VARSITY GYFL CHAMPIONS!!!!!!! USA in the International Bowl in Dallas, TX next winter. They will play U-16 for Team USA.